As the Trump administration begins to dismantle Barack Obama’s ambitious auto efficiency regulations, California is said to be poised to retaliate by doing something that automakers have feared: de-coupling the state’s rules with those set in Washington. The U.S. Environmental Protection Agency has concluded Obama rules to limit vehicle greenhouse-gas emissions are too aggressive and should be revised, according to people familiar with the determination. The agency is scheduled to make the decision public by April 1. California intends to counter punch by revoking its so-called deemed to comply provision, two people familiar with the matter said. The obscure-but-important state rule declares that carmakers that satisfy the EPA’s tailpipe greenhouse gas standards automatically fulfill California’s rules too. California officials started notifying the nine states that follow California’s air quality regulations of this prospect last week, the people said. “What this shows is that California and the states are saying ‘We’re serious. We decided based on the midterm review that these standards are achievable and are what the states need to meet our goals, so you’re going to have to comply with them,’” said Dave Cooke, senior vehicles analyst at the Union of Concerned Scientists. Eliminating the rule would expose automakers to a patchwork of efficiency regulations if Trump regulators, as expected, impose weaker standards than California’s in upcoming model years. The state has already locked in its rules through 2025 and is developing tougher standards through 2030. California and the several states that follow its tailpipe regulations together account for about a third of the U.S. auto market. Caught in the middle are automakers, which, after lobbying the Trump administration to re-evaluate the rules, are growing louder in their calls for peace between Washington and Sacramento. They’re escalating a campaign to convince Trump officials to not lower emissions and related fuel economy requirements so much that talks with California break down. “Automakers are talking in earnest with each other about how to thread the needle’’ between the demands of Washington and Sacramento, said Robert Bienenfeld, assistant vice president for environmental strategy at Honda Motor Co. The EPA’s release of the final determination will kick off a longer-term process to re-write the Obama-era regulations that aimed to slash carbon emissions from cars and light trucks by boosting fuel economy to a fleet average of more than 50 miles per gallon by 2025. The standard is equivalent to roughly 36 mpg in real-world driving. “We look forward to working with California on that rulemaking, and we expect that the state will want to maximize greenhouse gas reductions by engaging with the federal government and other stakeholders,” Gloria Bergquist, a spokeswoman for the Alliance for Automobile Manufacturers, which represents 12 automakers including GM, Ford Motor Co. and Volkswagen AG. How it will all play out is still up in the air. The EPA could issue its own proposal for new tailpipe standards. It could also propose rules jointly with the National Highway Traffic Safety Administration, which regulates fuel economy and has been busy crafting a proposal of its own. NHTSA’s fuel economy rules are the third component of the trio that carmakers, California and the Obama administration agreed upon. The joint plan was struck in 2009 as General Motors and then-Chrysler sought federal assistance during the recession. Yet NHTSA too appears poised to propose major cuts to fuel economy requirements charted by the Obama administration, based on a review agency documents obtained by Bloomberg. NHTSA officials have said they plan to propose a range of fuel economy targets for 2022-2025 model years by the end of March, though the agency may miss that goal. 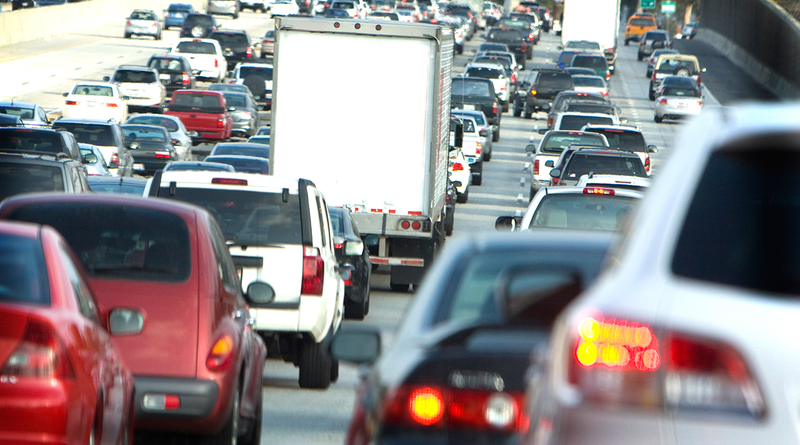 NHTSA has yet to send a fuel economy proposal to the White House for review. Trump officials have been in talks with California Air Resources Board officials about the future of the rules but there have been no signs of an agreement.